"I have used Lifeboat Medical for 17 years." "I love this place from check in to check out." "Wonderful experience with Dr. Sara O'Heron, MD. Thank you for your professionalism." "Dr. O'Heron has taken very good care of me and my family for 6 years." "Dr. O'Heron is wonderful - she's so caring and empathetic." "I have been seeing Dr. O'Heron for 16 years and she is a wonderful doctor." "I love this office. They go above and beyond for me and my family." "Super awesome experience!!! I don't know why anyone would not be satisfied." "I Iove this office. I was in and out within an hour." "Dr. O'Heron could not be more compassionate and caring!" "This woman is the most talented physician I have ever met and she takes time." Introducing InMode's Vovita for vaginal health and wellness. Book your appointment today! 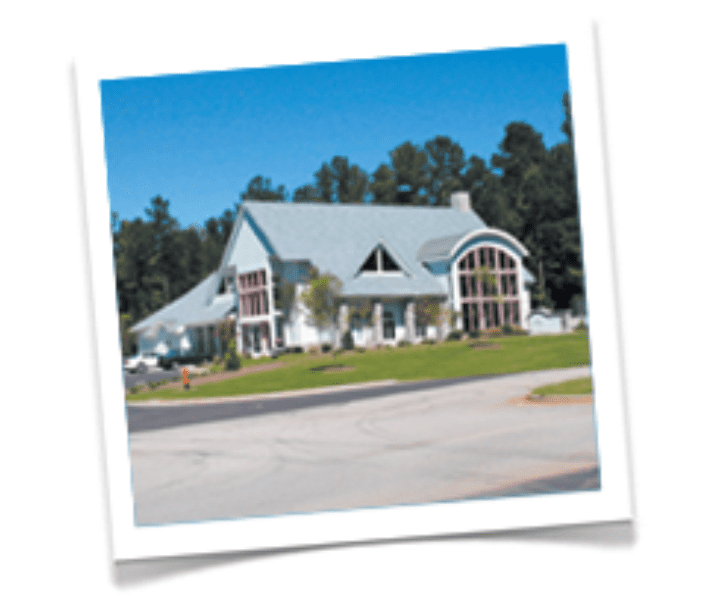 Sara O’Heron, MD and the team at Lifeboat Medical Associates feel privileged to serve the community of Peachtree City, Georgia. They are a family practice offering a full range of OB/GYN, pediatric, and women’s health needs in a warm, welcoming, and state-of-the-art office. Dr. O’Heron, Lifeboat Medical Associates founder and highly trained OB/GYN, is joined by her qualified team to provide individualized health care to families. Her team includes Nurse Practitioners Tal’Ja Fletcher, FNP-C and Tiffany L. Douglas FNP-C, and Physician Assistant Beth Simmons, PA-C. Tailored to meet the demands of your busy schedule, the team at Lifeboat Medical Associates offers a comprehensive array of family health services in the same facility. When you come to Lifeboat Medical Associates, you’ll find a gorgeous home-like waiting area with helpful amenities such as indoor and outdoor play areas, an X-Box in the waiting room, and convenient WiFi access. Your child will love our colorful, welcoming exam rooms as well as our friendly and professional staff. In addition to obstetrics and gynecology, Dr. O’Heron has specialized training in working with children with autism and developmental issues. She’s also an expert educator on the topics of human papillomavirus (HPV) and BRCA genetic testing for breast and ovarian cancer. This makes Lifeboat Medical Associates a convenient location for a variety of needs, ranging from developmental and attention deficit disorder (ADD) assessments to STD testing. The practice also provides allergy testing, ultrasound imaging, and DEXA bone scans, all in-house. Lifeboat Medical is also a teaching practice. Dr. O'Heron teaches students in all stages of medical education, including Physician Assistant students, Nurse Practitioner students, and medical residents. The team at Lifeboat Medical Associates is dedicated to meeting the highest professional standards while offering compassionate care for women and children. They offer same-day care for sick children and accept most insurance policies. To learn more, feel free to call the office or browse the website for information. We accept most insurance plans, please contact for more information. Medicare not accepted. "I have been seeing Dr. Sara O'Heron for over 8 years now and I am expecting with my second child and she is an amazing doctor!" "She takes the time I need to go over things with me and to answer all of my questions. I trust the decisions she makes about my health and the advice that she gives." "I'm a new patient this year and so far, everyone has been really great and efficient. All my labs came back efficiently." "FANTASTIC STAFF AND DOCTOR. They took their time and were so helpful. Never had the feeling of being rushed." "I have been seeing Sara O' heron for over 8 yrs now and i am expecting with my second child and she is an amazing doctor! She saw me through my first pregnancy." "Dr. O'Heron is the most compassionate doctor I've ever met. I know that she was really busy, yet she took time to listen to me and made sure I understood my diagnosis." "Dr. O'Heron is truly outstanding! She is incredibly bright, compassionate and has excellent bedside manner. So glad I found her and would not go anywhere else." "If you are looking for caring and dedicated, Dr. H will be a perfect fit." "Love her!! She's compassionate, caring, wonderful." "Best doctor in town!!! I'm so glad I found her! Will never go anywhere else!!!" "Great Dr. and efficient office. Explained very well what was going on." "Great experience with Dr. Sara O'Heron, MD this afternoon. I've longed for a doctor that sits with me in the exam room and listens." "Great physician. First time there and found Dr. O'Heron to be courteous and professional. Highly recommend her to all the females out there." "I have been seeing Dr. O'Heron for 16 years and she is a wonderful doctor. She has shown how caring and concerned she is about my health." "Dr. O'Heron is very knowledgeable and if i have any questions i call the nurse and they get answered. My kids love Dr. O'Heron." "Oh my gosh!!! What an amazing first appointment with the lovely Dr. O'Heron. She spent TIME, and I mean real time, with me reviewing and learning my history." "Oh my, what a wonderful experience with Dr. Sara O'Heron, MD this afternoon. I've longed for a doctor that sits with me in the exam room and listens to me." "We love lifeboat medical! Dr. O'Heron takes all of my concerns seriously and I feel like my voice is heard in my children's healthcare. The nurses are so sweet." "First visit today and was blown away by how awesome the entire staff is. Quick call back time, awesome nurses and Nurse Practitioner!" "This is a Dr who truly cares for her patients and is extremely dedicated. This town is so lucky to have her!!!"